Circe is a retelling of the Greek Goddess of sorcery. From her birth and through thousands of years of her life. In her early life, she discovers a strange power within her and she finds she can transform her enemies into monsters. Fearful of her power, Zeus has her banished into exile, to spend her immortal years on an island alone. As the years go by Circe faces those who come to her island, some are friendly and some are foe. In this, we get her side of the story and see that things are not always as they seem. Madeline Miller is a writer I love, her book The Song of Achilles is very close to my heart. So when I saw that she had written another novel I was very eager to read it. 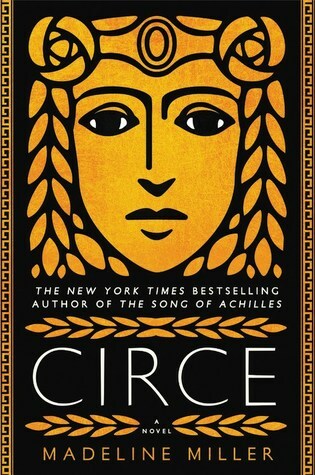 I didn’t remember much about Circe and after I started I admit I needed to look her up for a refresher. One of my favorite thing about Miller is her writing style and the way she bends the English language to her will. All the words flow so elegantly across the page, I love reading what she has to say. Circe was a very interesting character, but also a passive one at least to me. I felt a lot of her life was watching things happen to other people, and while she was involved, it wasn’t until the end that she felt like the heroine of her own story. I liked seeing Miller’s take on all of these famous characters and how the stories we thought we knew might be a little bit different than we think. A beautifully written book and an interesting story, if you like the classics and retellings you should pick this book up.